On March 1, 2016, the Japanese Financial Services Agency (JFSA) warned Japanese citizens against forex broker FXDD. The regulator warned that FXDD is serving clients in Japan without being registered to do so in that country. This is important because Japanese citizens are forbidden from opening forex trading accounts with unregistered forex brokers. 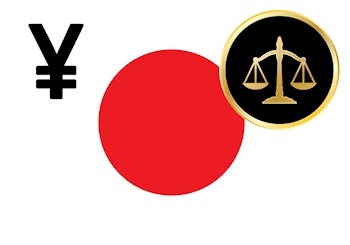 Japanese forex regulations are strict, and have become more so over the years. For example, leverage is restricted to 25:1, which is among the most restrictive in the world. Complying with Japanese forex regulations is difficult, which provides a temptation for brokers to attract Japanese clients without subjecting themselves to their regulations. To its credit, FXDD has since announced on its website that it has closed all of its Japanese accounts, and no longer accepts clients from Japan. Japan represents a very large retail forex market, and web traffic statistics suggested that FXDD had a large client base there. It is commendable that FXDD has agreed to lose this substantial client base in order comply with the forex regulations of a foreign jurisdiction. So Is FXDD A Scam Broker? FXDD appears to have been trying to get the best of both worlds: getting new clients from a country without being subject to that country’s regulation. FXDD is headquartered and licensed in Malta by the Malta Financial Services Authority (MFSA). The MFSA forex regulations are generally not as strict as those in Japan. Having said that, there is no evidence that FXDD sought to scam or harm Japanese clients. Further, FXDD promptly acted to shed its Japanese clients. Based on this action alone, we cannot conclude that FXDD is a scam broker. ​FXDD is a large online forex broker, serving clients in over 200 countries in 13 different languages. It offers trading in forex, CFDs, commodities, vanilla options and binary options. It is headquartered and regulated by Malta. As of the time of this writing, they appear to not be regulated in any of the other 200 countries in which they have clients.